This little pumpkin was a perfect file for a a Shaped card. Card 1 & 2 Inspire Me Fridays 80 - Anything Goes! Card 2: My Craft Spot Monday Challenge #73 Emboss it! Beautiful cut. Both cards are just adorable. OMG this is so CUTE! 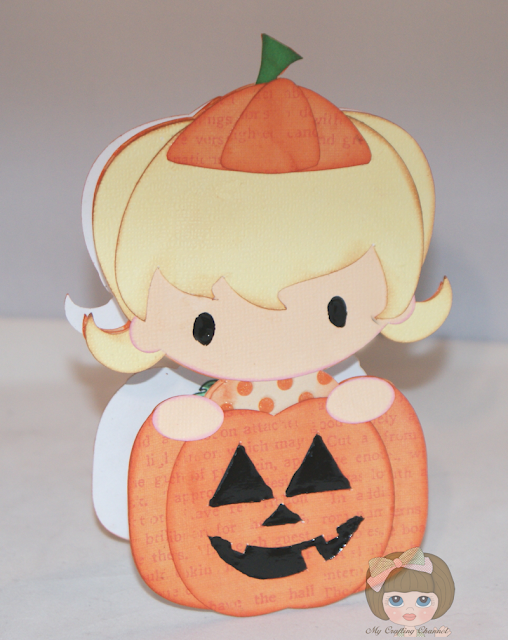 That little pumpkin girl is just so adorable. What a super adorable card! Love the shape!! Gigi did an awesome job also...will have to check out her card! TFS my sweet friend and have a GREAT day! Adorable cards! Thanks so much for participating in the Crafty friends Challenge. Very original card and the images are adorable. Thanks for playing along with us at Simply Create TOO. Both cards are so fabulous!! The shaped card could not be cuter and wow, the slider is so creative and gorgeous!! Love, love them!! Both cards are adorable..I love them! 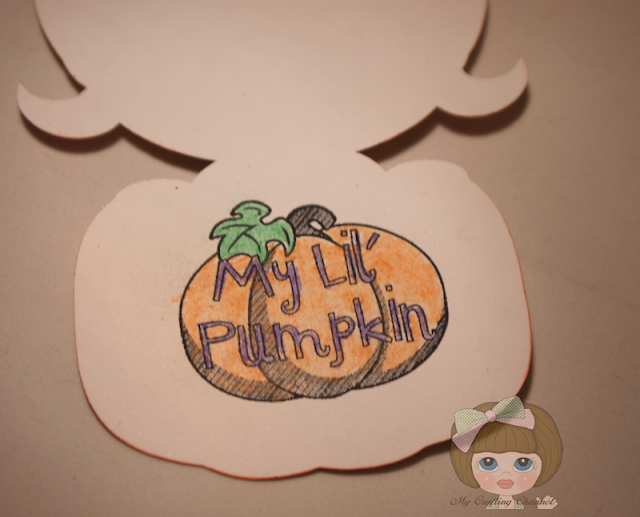 !They are so sweet,just like you!I have never tried to make a slider card but I will give this a try.As for the Pumpkin Shaped Girl,OMG! !STINKIN Cute!funny thing,she looks like me...LOL.I kid you not...LOL.My hair is a little darker but I am adorable...LOL!Love both cards! Made me smile and I love that! Nanna, these cards are just ADORABLE! Your slider card turned out SO cute! Those little girls are beautiful! Thanks for linking to my post! HUGS! P.S. Thanks for playing at My Craft Spot! Oh my gosh...how very, very cute! I love the sweet little shaped card and the slider is just fab! 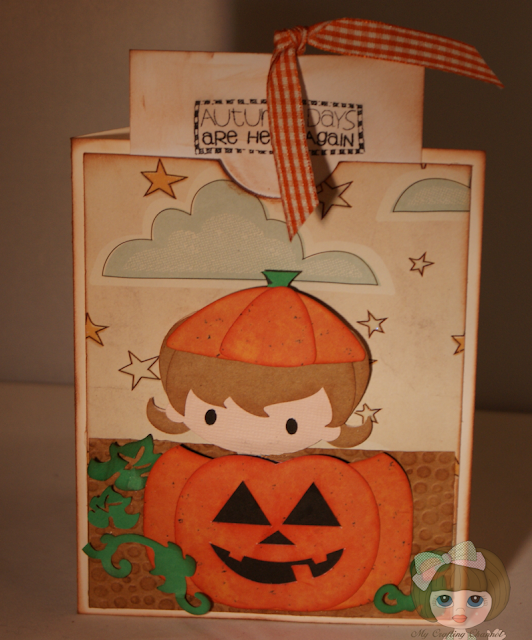 The images are really cute and your paper choices give such a sweet, vintage feel....love it! Nana, OMG your cards are so adorable! Adorable! I really have to try this now! 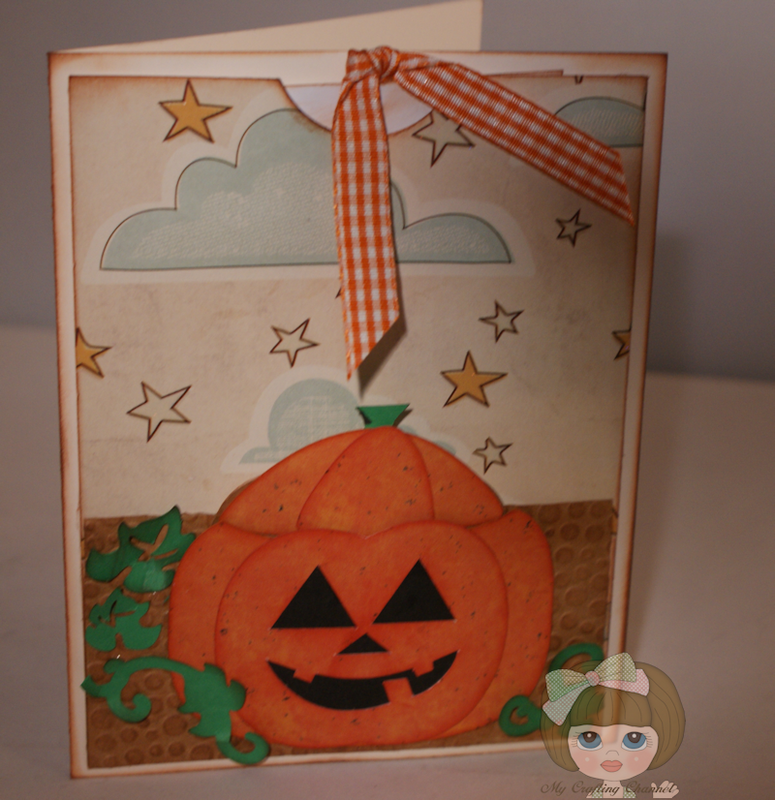 Such cute pumpkin cards--lovely! Thanks for joining us for our Challenge #24 - Pumpkins. Love these cards! I'm all about the cuteness not the spooky when it comes to Halloween, lol.